It happened in July 2004. Jean Louis Monnet of the Haute Voltige organization invited us once again to take part in the Air Musical, but this time in the United Emirates AL AIN in January 2005. The previous occasion we could take part in this same air musical was in November 2003 in Japan. But this time we were given the opportunity to explore the desert with our birds. We started in November with a major maintenance effort of our aircrafts and dismantled them to prepare for transport by sea container. The aircrafts were loaded in November and would then be en route for six weeks, via the Suez Canal, before reaching AL AIN, the United Emirates. We followed as a team on 19 January from Schiphol to Dubai by KLM. The reception at Dubai Airport is well organized. We spotted our names on notice boards everywhere, spelled a bit incorrectly but never mind. We followed these boards and they eventually lead us to the driver who was to take us to our hotel in AL AIN. A two and a half hour journey in the rain. Rather exceptional to have rain in January in this country. At breakfast the next morning we observed some familiar faces like Peter Besenyei and Klaus Schrodt, the Flying Bulls and so on. All names of airmen also present in Japan with the same air musical in 2003. Nice to meet them again. We are taken by bus to the AL AIN military airfield. Filming or taking photographs is strictly prohibited. The container with our aircrafts arrived a week ago already. Everything still looks in a good condition, the way we packed it in Asten in November. Re-assembling and fitting-up can begin. Everyone on the team has his own task to make sure all goes according to plan. Ruud Jansen is in charge of a smooth progression. 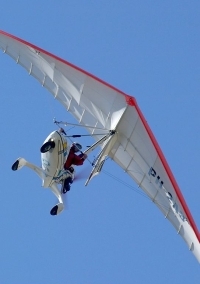 When everything is finished we can make a test flight in the evening over the blistering hot desert sands of AL AIN. Everything works perfectly. We were able to admire the impressive view of the desert for the first time. At the site where the Air Musical is to take place, about 1 km from the airfield, the local organization is busy building stands, placing publicity-pillars and refuse-bins, positioning nametags where everyone is supposed to sit like Women, Family, Vips etc. (After all ladies have to be seated in a separate stand) All done in a slow and roundabout way. Everything must be finished in three days time because then will be the big day. Then the VIPS will come to watch the opening of this event. We are permitted to practice our own programme within the Air Musical every day at fixed times as arranged by the organization. Meanwhile our great friend Kalifa has been appointed to us at the airfield. He will arrange anything we need for us: petrol, oil (they got plenty of), food and drink. Just ask and he is on his way. Sometimes a bit quicker than others but an excellent guy. He taught us a thing or two about local customs and traditions like how to marry four women, own four houses and have many children. All very interesting to us and it keeps him busy. During daytime he is dressed in a green military outfit and when you meet him in the evening he is very proud of his fine white attire. Full of admiration we watch our geese take to the air every day, together with their captain Christian Moullec, flying a similar ultralight to ours. It all begins with kakaka ….pouet pouet pouet. In this way Christian communicates with the unborn geese so they will recognize these sounds once they are born and then see him as their leader at the moment of takeoff for their flight together with the ultralight. All that takes to the air during this show from 24 till 28 January 2005 is too much to mention. The number of participants, about 130, come from 36 different countries. On monday and tuesday it is still fairly quiet as far as the number of visitors is concerned. As from wednesday the show is flown especially for our Vips, the gentlemen oilsheiks. The best seats are ready and waiting for these guests, including a good many snacks and drinks (non-alcoholic of course). Caroline and Yvonne make sure that a card of the MAT team is put on these gentlemen’s tables. The tables are covered in publicity material of participating countries. Our card may be small but very notable. The party can begin. 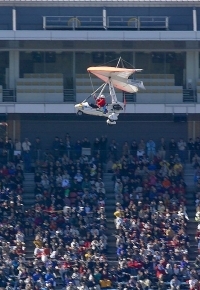 The show is opened on monday by the Paramotors, followed by a demonstration by among others the Paradax, the Jet Man, various military teams show what they are capable of. Naturally there is also an element of competition put in by the FAI World Grand Prix, in which our solo display pilots as well as our duo pilots take part. Think of The Matadors for example, Flying Bulls, Space Knights etc. THE Air Musical in which we play an important part, comes next. Lily horn is Born accompanies parts of the air musical by four saxophones. Patricia Leidig of Almadrave will also present her act live during the show. The flying-in at exactly the right moment is very important, but that you can leave to the MAT team. We present a small part in this musical which in total lasts an hour and a half. We show our programme in eight minutes. With a timer at the bar Jurgen is to pilot us into the desert arena at exactly the right second. This outstanding performance is rewarded in the newspaper the next day by a great photograph of the team, in colour, together with the Flying Bulls, headed by the Arabic title: The Netherlands Microlight Aeroteam opens air show in Al Ain. We can take part in the entire happening for four days. On wednesday we are taken to be interviewed at the local camels’ market. Everyone of the MAT team has his say. We received a DVD-recording of this and the idea is to broadcast the DVD in future at among others Discovery Channel. On thursday we spend a day to explore the surroundings of Al Ain. A taxi is hired and off we go. We are driven to all places we did not want to go, as the driver did not understand us. In the end everything works out fine and we had a wonderful day. Rob Hammink, Telegraaf reporter from The Netherlands, followed us to Al Ain to discuss with us what we as a team have meant to the rich oil state. He writes a nice article in the Telegraaf’s sunday edition.of 30 January which pleasantly surprised us when we arrived back home. The article was titled ‘Musical in the Air’. During our train journey we enjoyed reading the story remembering our fabulous time in the United Emirates. 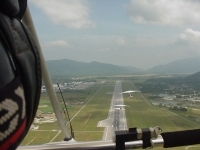 At this stage we took part twice in the Langkawi International Maritime and Aerospace Exhibition (LIMA) at Langkawi International Airport in Malaysia. In total some 120.000 spectators visited this event. In 1999 and 2001 we were in Malaysia as part of a dutch trade delegation, lead by the Commander in Chief of the Air Force, lieutenant-general D.L.Berlijn. We appeared to be the only western participants to this air show that had not cancelled after the attacks on 11 September. We were with our aircrafts flown to Malaysia by KDC-10, one of the Royal Air Force’s two fuel aircrafts. The Malaysian president, Dr Mahatier Bin Mohamed, named us the “MAT Arrows”, after the famous British demo team the Red Arrows. 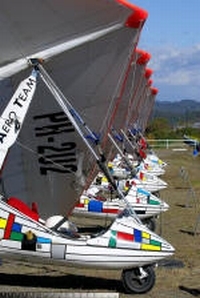 In November 2002 we participated in the HAUTE VOLTIGE Fai World Grand Prix. This event lasting several days took place at the Honda racing circuit, the Twin Ring Motegi circuit at Motegi Japan. Some 50.000 spectators showed up here every day. A special highlight for us was that we were included with our aircrafts as actors in the Haute Voltige AIR MUSICAL. This musical is a unique dimensional play in the air which hardly compares to a traditional air show. For this particular trip our aircrafts were transported by sea container. The Netherlands is our home country. From Kempen Airport we operate not only in Europe but perhaps mainly in the Netherlands. Right from the foundation of our team we called at many events and air shows. Such events were among others the festivities on our queen’s birthday, tugs of war, country-fairs, opening and jubilee celebrations, receptions etcetra. As far as air shows are concerned the Royal Air Force public days as well as the ones for the Marine Air Services, the Scheveningen air show, Volkel On Clouds and the Lelystad air show are the most memorable. Besides these activities we fly many trips around Holland just because we enjoy flying. One of the most beautiful trips is a flight along the coast on a clear summer’s day. We enjoy reading people’s spontaneous reactions on our e-mail address. Some hundreds of thousands of people watch us travelling through dutch airspace every year. Time and again a formation of five microlight aircrafts proves to be a unique spectacle. We visit Germany several times a year. The large number of airfields as well as the pleasant atmosphere over there make it a joy to land there every time. Ever since 1992 we take part in the International Luft- und Raumfahrtausstellung (ILA) at the Berlin-Brandenburg international airport in Berlin. In 2006 it will be the 8th time we will take part. Every day we are scheduled on the main programme and every time we feel proud to fly our demo amongst for example an Airbus A340 and the Eurofighter. The ILA draws some 200.000 visitors each year. 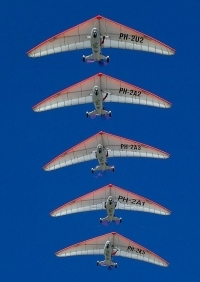 An also yearly returning event is the Imsweiler Flugplatzfest, an air show by a much smaller standard than e.g. the ILA but certainly no less enjoyable. With its 6.000 visitors Imsweiler for us is a highlight every year. Click here to view an article from “Flügel der Welt” on our participation in the ILA 2004. Finding new challenges is one of the characteristics of the team. After a demo at Drimmelen, on occasion of the opening of its marina, the MAT team proceeded to England for a seven day trip (flying of course). Via Belgium the team flew to Calais and subsequently set course for Dover. Crossing the Channel took 40 minutes. View was restricted to merely 8 kms thus making the water the only reference for quite some time. In England the team flew a wide circle around London and visited a number of well known airfields such as Duxfort and Old Warden. Quite an experience for a lover of flying. The hospitable Belgium is visited a number of times each year. 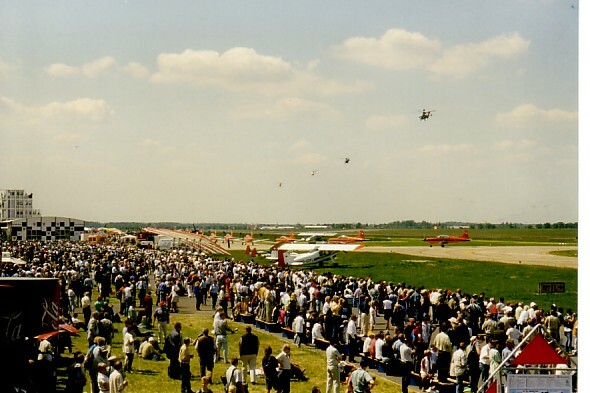 In 2003 we were present at the Aeroclub Sanicole’s International Air show, which that year proved to be a very special presentation. Apart from that we also participated in the Ostend Airshows. As Belgium is our neighbouring country we frequently fly there on our training days. We visited this beautiful country twice now. On both occasions we chose it as the destination for our so-called MAT-week. The CZECH Republic with its many airfields and varying landscape is an absolute favourite. This country has a few beautiful Unesco-towns within its borders on which we based one of our trips. Especially the south western and north eastern (Giant Mountains) parts have captured our hearts. So in years to come the Czech Republic will not fail in our plans. In Luxemburg the team twice took part in the so called “Tour du Luxembourg”, an interesting trip which took us through the beautiful landscape.